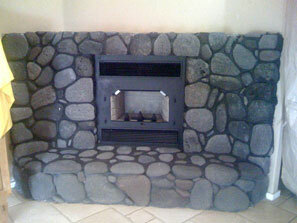 Have you dreamed of having a truly unique, custom-built fireplace? 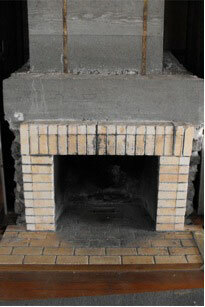 We can layout, design, budget and construct your fireplace using brick, all types of natural and synthetic stone and combinations of stone and brick for new masonry construction or restoration. 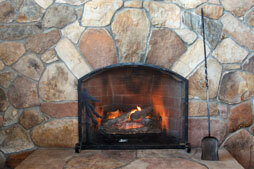 Outdoor masonry includes brick stone, stucco and plaster plus we offer chimney rebuilding and restoration. 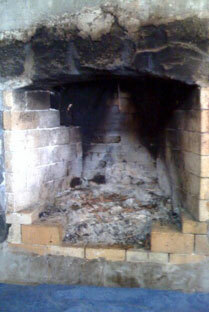 Let your imagination run wild and we’ll do the work! 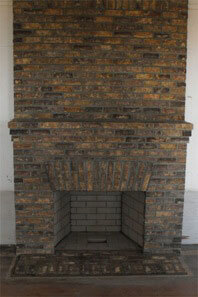 This new masonry fireplace with gas log set can also be used as a wood-burning fireplace. 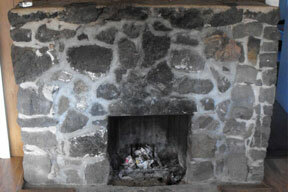 A before shot of the fireplace that came close to burning down the old family home. 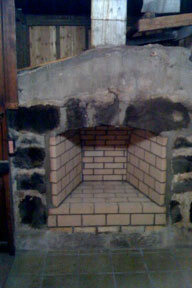 The new firebox after the fireplace was restored. 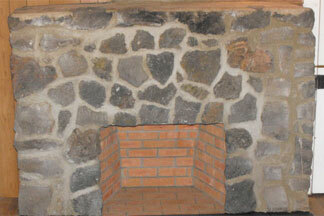 Rebuilt fireplace utilizing new firebrick and refurbished rock wall face. 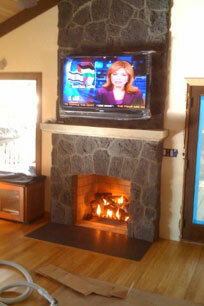 Rebuilt fireplace using existing foundation and flue with a custom built brick mantel.